A CEC15 meeting in January 2019. If you are a public school parent, you have probably heard about New York’s upcoming Community and Citywide Education Council elections. This is where parents of public school students get to run for a seat, in hopes of making a difference in their school district. The Education Councils started in 2002 when the state gave mayoral control over the city’s public schools. Since then, every two years, an election is held for parents interested in getting involved. But some parents who have or were involved have been dissatisfied with the election process, which they consider to be inequitable or even undemocratic. Kathy Price of Park Slope is one of them. In 2017, the mother of two decided to ramp up her civic duty by running for a seat for Community Education Council (CEC) 15. However, once Price registered to be a candidate, she soon learned there were confusing regulations when it came to campaigning. For one thing, she was not allowed to give out campaign literature at her child’s school or any of D15’s schools. Then came the issue of having access to email addresses. Price thought it would be a good idea to get a hold of the district’s PTA email addresses in order to let them know about her. This is because CEC members are voted in not by the parents of the districts, but by three members of each school’s PTA. But Price was not allowed to request the email addresses, nor was she pleased that the PTA representatives voted in the Council members. She was also disappointed to learn that the candidate forum, which is hosted by the PTAs, composed only of the candidates to speak for two or three minutes to the audience, explaining why they should be voted for. There was no Q & A session or dialogue. Although Price did get elected onto CEC15, she never forgot her experience and chose to take action to make the Education Councils more equitable. Every school district in New York has a Community Education Council, consisting of nine elected positions and two appointees from each Borough Hall, and also a non-voting high school student. The requirements to serve on the CECs include having a child as a student in one of the district’s public elementary and middle schools. Once the youngest child advances beyond middle school, that member has to step down. There are also Citywide Education Councils. They include the Citywide Council on High Schools (CCHS), the Citywide Council on Special Education (CCSE), the Citywide Council on English Language Learners (CCELL) and Citywide Council for District 75 (CCD75), which are highly specialized schools for differently able students. Although the Education Councils have around since 2002, they are not without controversy. During the 2009 elections, there were issues over mayoral control over the schools. Some complained that then-mayor Michael Bloomberg had too much power over the CECs, even though their role is to be the face of parent engagement. While things have gotten better 10 years later, some Education Council veterans feel more needs to be done. “The DOE would like the CECs to be ceremonial,” says Jim Devor, a retired attorney from Carroll Gardens. He served on CEC15 from 2004 to 2013, and was even president during the last four years of his tenure. Devor also agrees with Price that the campaigning process needs to have reform. In 2013, he took part in a lawsuit to demand access to email addresses for the Council elections. It was an off-the-bench trial that lasted two days, and the prosecution lost. DOE says that they do not provide parent email addresses for privacy reasons, a longstanding DOE policy. “Candidates may create their own distribution lists or use social media to contact voters. Many schools’ websites list the contact information of their PA/PTA officers,” their spokesperson emailed. Luckily, things may be slowly changing. Just last week, the DoE released a list of campaign tips that included the handing out of postcards, flyers and other campaign pieces. While that is permissible, candidates cannot post information on school bulletin boards. “Wow, this was something I brought up in 2017,” Price says. “It goes back with being able to connect with voters. I’m glad that they clarified that candidates can reach out to voters.” But Price feels there’s still more room for improvement. The call for parents to vote on CEC candidates is not just isolated to a few parents. 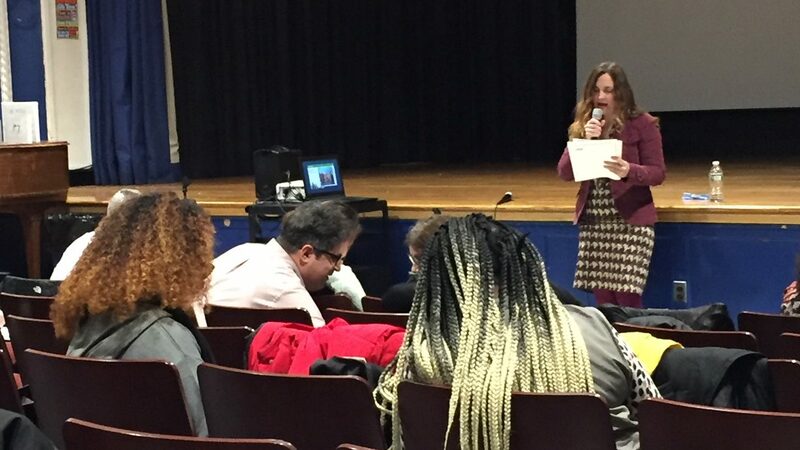 The education advocacy group Class Size Matters passed a resolution in late 2018, calling the current process where the three PTA officers vote “undemocratic”. It also called for parents to vote for the two members from each borough needed for the CCHS. NeQuan McLean, the president of CEC16, as well as the co-chair of the Education Council Consortium (ECC), took part in that resolution. He points out, though, that the issue is more due to New York State Law than the Department of Education, and DOE agrees. But he also agrees that some things need to change when it comes to campaigning. He even worked with CPAC (Chancellor’s Parent Advisory Council), the rest of the ECCs and the DOE to create those campaign tips. But McLean does point out that not all schools have a functioning PTA system. Some are more involved than others, while other school PTAs may not very good at giving out information. Also, the candidate forums are hosted by the President Council, and the DOE cannot tell them what the candidates can do. The deadline for parents to register to be a candidate for their school districts was on March 13. Campaigns and elections will soon be underway, with candidate forum dates differing around the city. The elections results will be announced on May 21, 2019. Bklyner will keep you posted on the results. CORRECTION: The resolution mentioned in this article on how CEC elections were “undemocratic” was actually passed by the ECC (Education Council Consortium), instead of Class Size Matters. BKLYNER regrets the error. This is especially rich considering one of the main people in the piece, Kathy Price, lost multiple times including to people that couldn’t show up to this meeting. This is seriously pathetic sour grapes from someone who think they are an elected official. If you don’t believe me check out the minutes from the August and September board meetings(cut and paste links below). And after losing 3 straight times the only reason she ended up as second co vice chair(whatever this lame title is) was when her opponent who received more votes withdrew.